Ocean, sun, and sandcastles! A few elements reminding me of Summer! What do you like most about Summer? 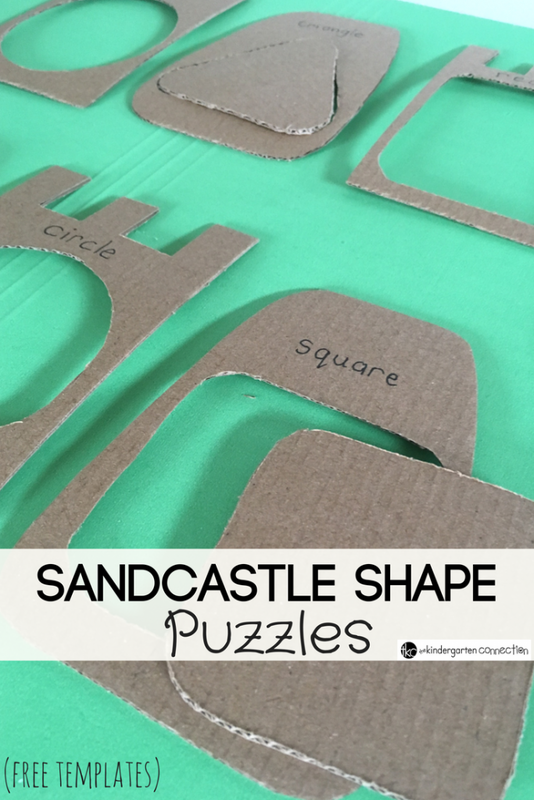 I bet your students like sandcastles, so here is an idea to make DIY Sandcastle Shape Puzzles. *Pair this with our Cut and Paste Shape Sorts! I used a piece of cardboard out of our recycling bin. Which means we are being “green” by reusing recyclables! 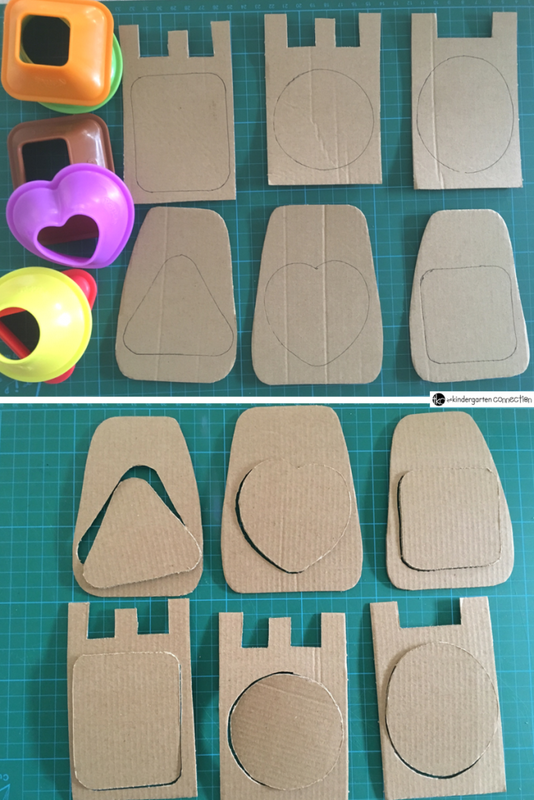 We used shape playdough cutters to make our DIY sandcastle shape puzzle pieces. You can either use your own cutters or the free templates provided below. Want more shapes? Add to it with your own stencils or cutters! First, I cut the sandcastle shapes out of cardboard. Then, I used the cutters to trace the shapes. 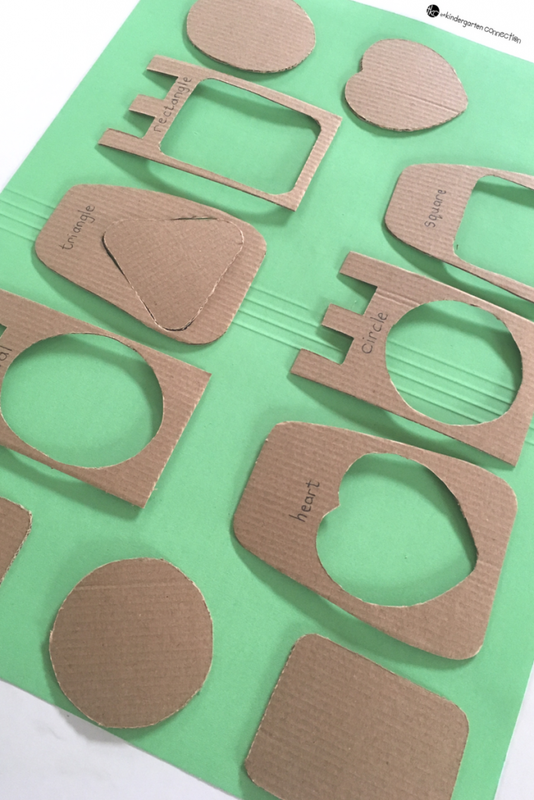 Hint: Make sure you don’t cut apart the “inside piece” since this will function as your puzzle piece that the shape will fit inside of later on for the activity. Add the names of the shapes on the front of the sandcastle shape cards. This will help build up students’ knowledge of naming shapes! As an added bonus, you can write the names in different languages, on both the front or back to really enhance language development! There you go! 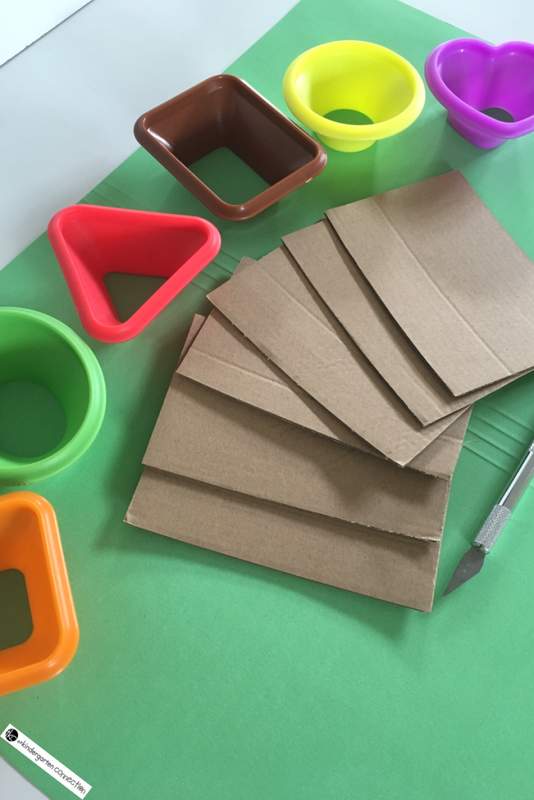 A fun, frugal, hands-on activity to add to your summer theme! 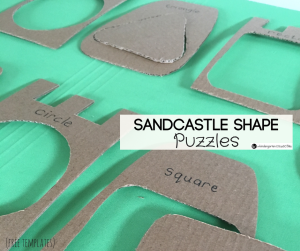 Grab the Sandcastle Shape Puzzles Template below by clicking the large, yellow “Download Here” button below!